Book Your 2015 Holiday Party Early… The Pie is on us! Thinking about your holiday party? Now is the perfect time to book. 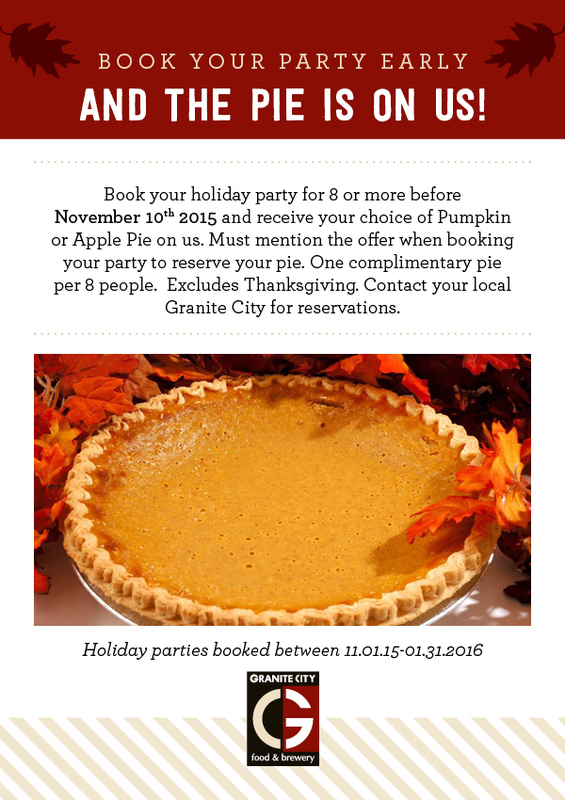 Call your favorite Granite City and book your holiday party before November 10th and the pie is on us. This offer is good for parties of 8 or more. One pie per 8 people, your choice of Pumpkin Pie or Apple Pie. Parties must be booked between 11.01.2015-01.31.2015 excluding Thanksgiving.